Very few things have any value in our society – from neck ties to fetuses. 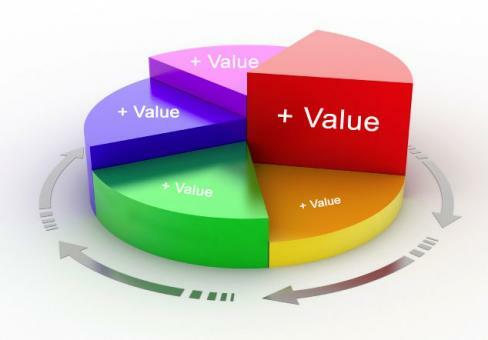 What is value? We all knew it when the product was presented to us. A refrigerator was envied in the department store downtown and our savings were carefully planned. Soon it arrived, and in those days with a bow around it. All things have value. It is the value to create, distribute and sell it. The markup is proportional to the product. That’s where our problem creeps in. I now wear logo neck ties that cost me $3.00 compared to the same $20.00 version in that department story downtown so I really didn’t need to save for the purchase. I have a popular name wrist watch from the same Chinese knock-off that knocked off the $2,000.00 price to, yes, $4.00. Am I cheating? No Americans would say “no”and want to know the website. The analogy between neck ties and human life may offend you but it shouldn’t. I’ve always believed it is the slow redefining of one thing that leads to another. Sometimes it is good as in slavery, working hours and numerous other things we now take for granted. We live in a society that’s learned to throw away because the value of everything appears to be up for grabs. We’ve lost the true value of something and attached another value to it. I’ve learned from that Chinese website that the value of my neck ties now has a different or truer lesser value. Abortion has taught us that value is a relative word when faced with a life-changing and an everything-changing-event. Everyone would agree that human life has no value, for it is priceless yet we do not act in the same way. I began with my twisted twist from neck ties to fetuses. You are not allowed to be political in the Catholic Church circles so the argument remains in simplistic voting habits but in real life becomes complicated. Half of the U.S. pregnancies are unintended. (Read that sentence again!) Half. Simply to be against abortion is to miss that really awful word we’ve taught ourselves to hate unless it applies only to us and our benefits: government. State and federal governments repeatedly cut the means for single moms or those in doubt about a pregnancy to raise a healthy child. The same political party against abortion is also the same party against giving a fair chance to raise an “unintended” child, which is by the way, half. We can spend a long time talking about abstinence and moral behavior but we’d be talking about a different country. The political party that glibly is against abortion is also the party that conveniently cuts funds that discourages a birth to a freightened mom, discourages nourishment for those important early years and discourages bringing a new healthy member into our society while all the while gathering votes toward a no abortion resolution. We all know the value of human life – it is priceless. Human life has no value because it was not ours to create but it is ours to recreate, nurture and ensure, as best we can. The cost of human life as “priceless” is our theology, the “value” of human life does have a cost both emotionally and financially. Can we not half the half of those unintended pregnancies so they may one day savor the bright blue sky we all enjoy?